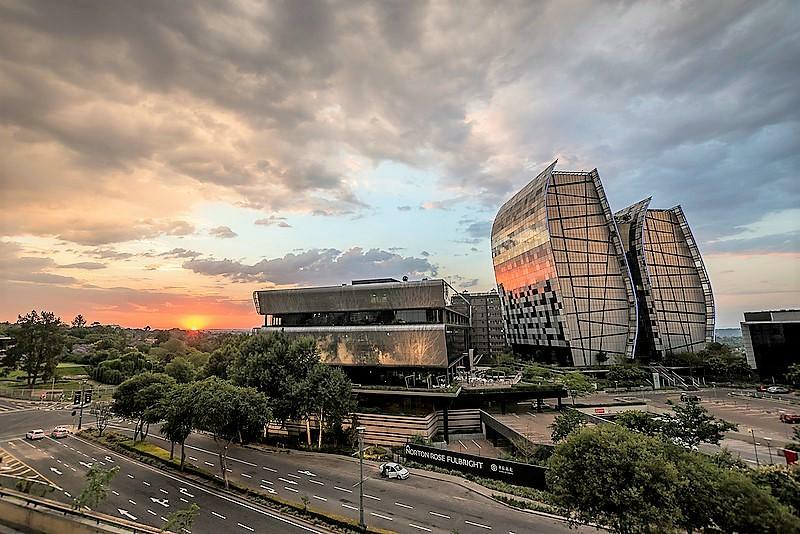 With 2019 well underway, Johannesburg can expect a number of new developments taking hold in various key commercial suburbs, including Sandton, Waterfall and Rosebank. Although these suburbs are already popular and highly acclaimed commercial sectors, developers continue to build multi-million Rand office precincts that appeal to blue-chip and multinational companies. Johannesburg, situated in the Highveld region of Gauteng, is the largest municipal economy in South Africa and accounts for approximately a third of the country's economy. Its tremendous commercial, industrial and agricultural sectors make up about 35% of South Africa's GDP, with the latest statistics showing that in 2016, the province's GDP was an incredible R1,5 trillion. As we ease into the new year, Johannesburg's office market will continue to expand as a result of rigorous demand for high-quality accommodation. However, much of this development is purely speculative as the construction of new office stock is largely based on projected estimates, which predict that the number of tenants will increase in the long-term. Because of this, the city is experiencing an oversupply of stock, resulting in a high vacancy rate at the moment. According to the latest reports, vacancy rates went up from 12.4% in the second quarter of 2018 to 12.8% in Q3. Typically, an oversupply and high vacancy rates are unfavourable signs that a commercial market is not attracting enough tenants. But in the case of Johannesburg, this solely indicates that developers have a long-term outlook on the economic potential of the city and are willing to inject billions of Rands into projected growth where they see value in reaping the financial benefits only after a few years. With such confidence placed on the city's commercial market, the specific prime nodes of Sandton, Rosebank and Waterfall will receive the majority of the development pipeline. Last year these suburbs also received the bulk of new office stock in the city, with one of the most notable developments being Rosebank Link. For 2019, the suburbs are expected to receive more than 60% of the development pipeline which is currently hovering around a substantial, 398,057sqm for Johannesburg as a whole. Sandton, in particular, is set for a busy year ahead as it holds more than 30% of the development pipeline nationwide. And in terms of the grade of the new developments, Grade P will be the most widespread as there is a healthy demand for higher quality properties, and this is followed by Grade A and Grade B.
Johannesburg will be rejuvenated this year as major capital will be pumped into the commercial sector. Two of the most notable projects include a R2 billion redevelopment of the inner city by Divercity Property Fund - the redevelopment will kick off with the iconic Absa Tower, which will be upgraded into a modern mixed-use building, and Jewel City, which will also be a mixed-use development comprised of retail, commercial and residential properties. A 200sqm office unit is currently on the rental market in Sandton's, Upper Grayston Office Park. Situated close to the M1 Highway, the office park is designed with modern features, energy efficient designs and well-manicured outside spaces. The architecture of the building is designed to maximise on natural sunlight and help reduce the use of electricity, thus lowering electricity costs for tenants. Although there is an oversupply of stock in Johannesburg's office sector, a big percentage is a result of high developer confidence The current pipeline is a good indication that developers have a long-term outlook on the economic potential of the city and are taking calculated risks to capitalise on this. To find out more about the available commercial properties available in Johannesburg, speak to our helpful agents at 3CUBE Property Solutions today.